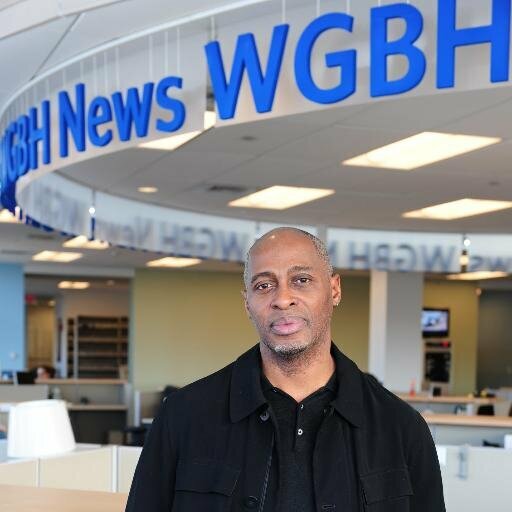 Since joining WGBH in the spring of 2010, Phillip Martin has reported on human trafficking in southern New England, the Boston Marathon bombing, Whitey Bulger, carbon offset schemes, police shootings, training and race, the Occupy movement and the fishing industry in New England, among other topics. On WGBH-TV, he is a regular panelist for Basic Black and an occasional panelist for Beat the Press, and hosted the World Compass 2012 presidential primary coverage. He is a Senior Fellow with the Schuster Institute for Investigative Journalism and a 2012 International Center for Journalists Ford Foundation Fellow. In addition, Phillip is executive producer for Lifted Veils Productions, a nonprofit public radio journalism project dedicated to exploring issues that divide and unite society. Phillip has worked as a supervising senior editor for NPR and was NPR’s first national race relations correspondent, from 1998 to 2001. In 1995, in his role as a senior producer, he helped create The World. Prosecutors from Massachusetts to Minnesota detail cases where mostly foreign-born women work seven days a week, 12-24 hours a day, sleeping in parlors or nearby flophouses, and are managed by a network of interstate traffickers and business people. Henry Lemus Calderón, 19, is incarcerated in a high-security unit, and he can’t figure out why. Though in the country illegally, he was never arrested for any crime and never ordered removed, and he bristles at the notion of being considered in need of high security. The teen and his advocates insist that he's being swept up and threatened with deportation because of teenage bravado, rather than actual evidence. A Boston court was one of the first to restrict the ability of DHS to implement Donald Trump's executive order on immigration and refugees. On Friday, the order lapsed — but soon after another, more far-reaching order was put in place. The actor, who stars in a new movie about the Boston Marathon bombings, once made life hell for immigrants and African Americans on Boston’s racially divided streets. A security guard has a very personal connection to the economic and social upheaval underway in Venezuela. Last week, he got some good news. Pro-Trump signs being put up in one Boston neighborhood have resurrected old feelings from the early 1990s, when large numbers of Central Americans began moving there and encountered racial resistance.